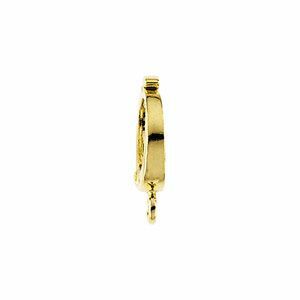 Description: A contemporary designed 10k yellow gold hinged bail that can be attached to a pearl, beaded strand or large round chain which a pendant can easily be suspended from a jump ring. This type of item works well to attach a pendant permanently to bail for easy installation onto beaded strands. Soldering jump ring closed is recommended for valuable or heavy pendants. 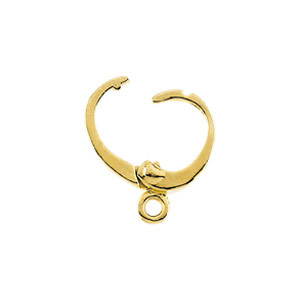 Special order in 10k yellow gold. Shipping time: Ships in approx. 2 weeks by special order only.